If you have been reading this blog for any length of time (of course you have!) you will know that we now live in central France, after many years, many homes and a long horticultural career based in the south of England. The Indre is the name of the department (or county) in which our home village is situated, although the ancient name of the Berry is also widely used. It stretches from the river Cher, on the edge of the Sologne forests in the north, to beyond the Brenne National Park, the river Creuse and to the foothills of the Massif Central in the south. The soils across this sparsely populated, rural department vary enormously and with it the wild flowers. These can be seen in quantities which we unused to in England, where industrialisation, population expansion and the use of agricultural chemicals have reduced the range and quantity of native flora significantly. Walking the dog in the countryside we regularly come across groups of wild orchids and one, the Lizard Orchid (“L’Orchis Bouc”, Himantooglossum hircinum) seeds itself all over our own garden. 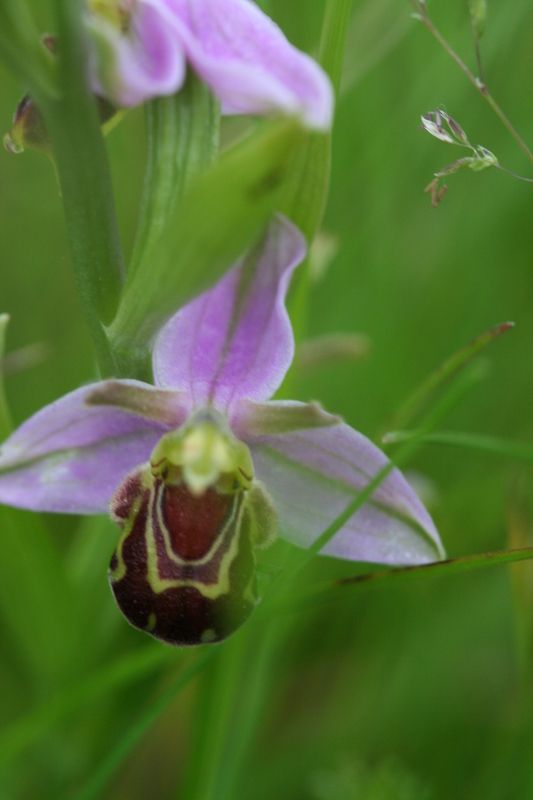 We have found Spider Orchids on the industrial estate, Burnt Orchids on a building site, Helleborines by the fishing pond, Butterfly and Bee Orchids in the woodland meadows and Early Purple Orchids in the public park. 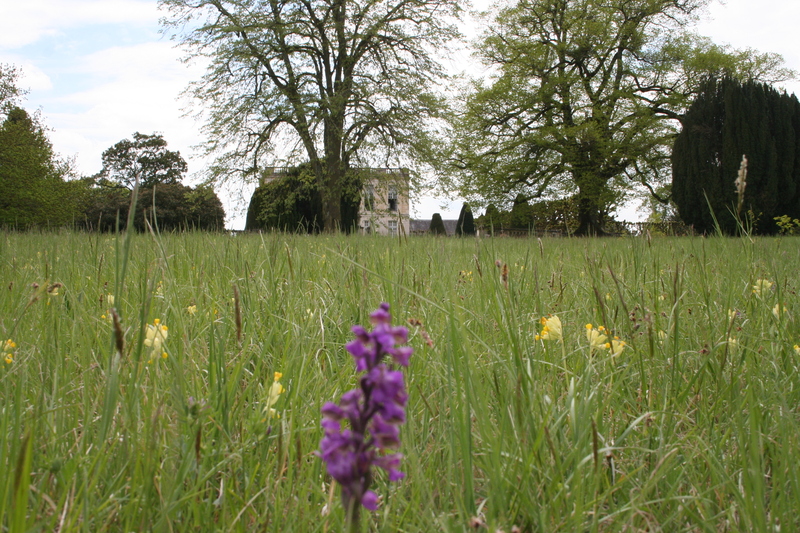 In total, 47 species of wild orchid have been recorded in the county, one of which is found only in the Brenne. Orchids can be found almost everywhere: on limestone grasslands, river meadows, alkaline marshland, acid sandy soils, both wet and dry, in woods and forests and by the sides of the roads. They can also be seen in the grand chateau parkland and in much more humble gardens, often in very impressive quantities. In addition to a small selection of native orchids we have in our garden a patch of Chinese hardy orchid, Bletilla striata, which survived a period of -24°C a couple of winters back and is grown alongside dwarf Rhododendrons in our Japanese Garden. 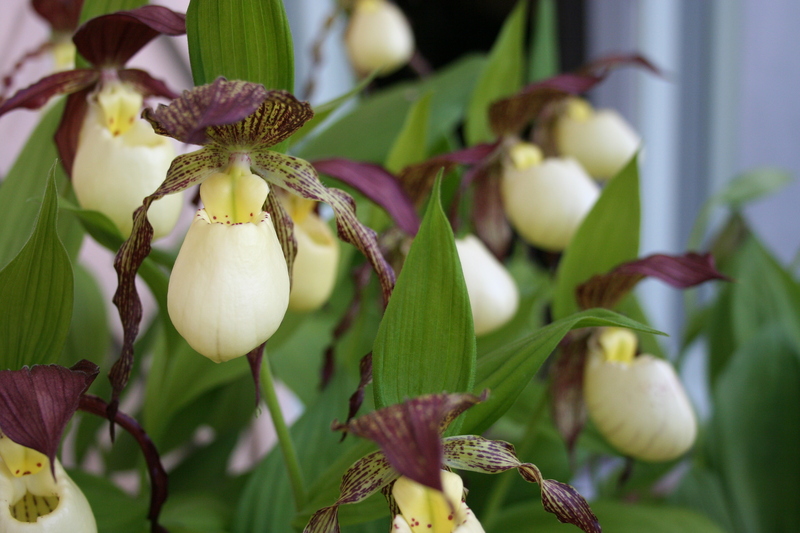 By the front door, facing north and in the protection of an unheated conservatory is a huge pot of the garden orchid Cypripedium Kentucky. These are also perfectly hardy and I shall be planting them out in the garden later; I was so excited to have them, I just had to show them off where everyone could see them! New Year, new garden projects.